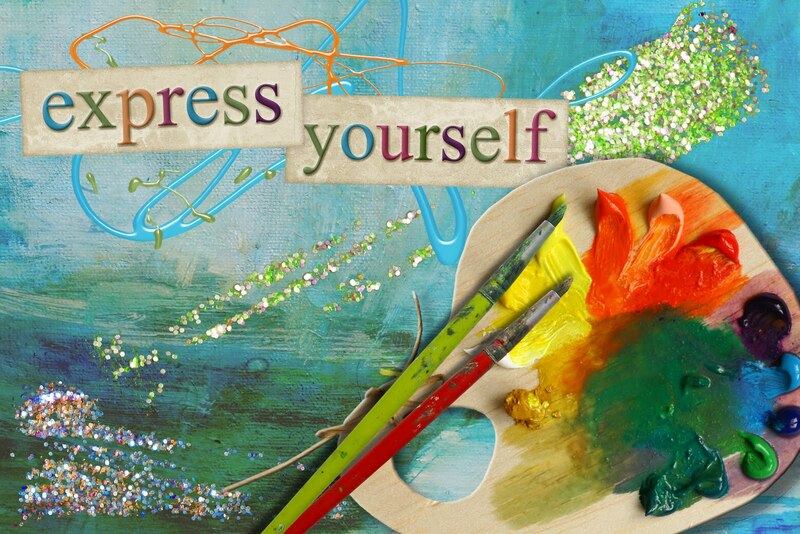 Mojo Monday ~ Express Yourself – We Are All Meant to Shine! 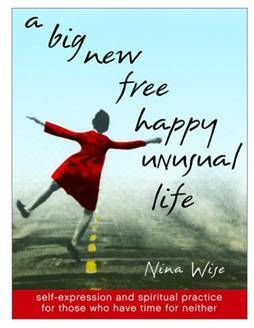 Excerpts from the book by Nina Wise called A Big New Free Happy Unusual Life: Self Expression and Spiritual Practice for Those Who Have Time for Neither. What are your thoughts regarding the excerpts from Nina Wise’s book? 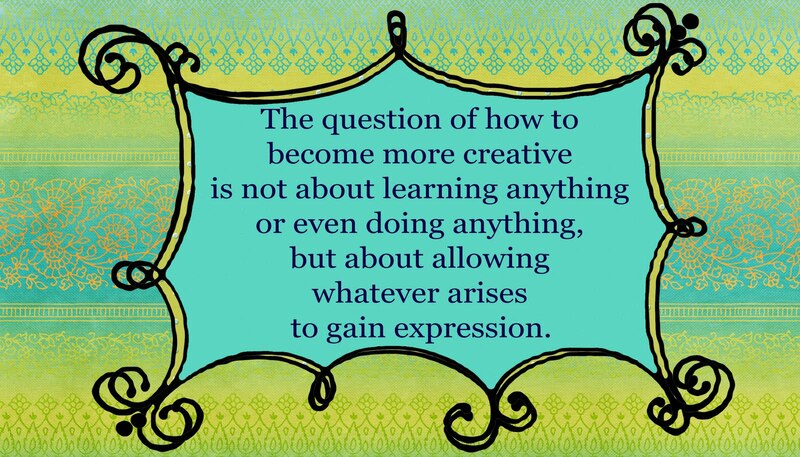 Has someone you know ever stated “I am not creative”? Did you respond? Have you ever felt that you weren’t very creative? 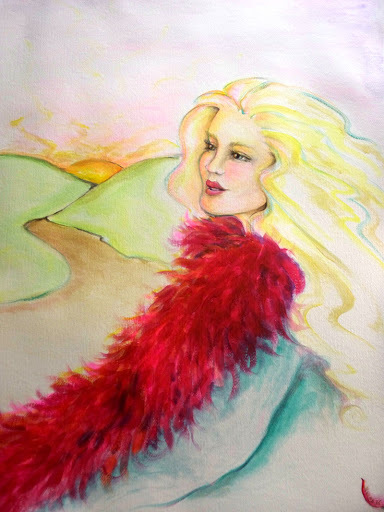 This week if you hear that voice that says “stop” when you think about painting, dancing, writing or inventing a new recipe put your fingers in your ears and go “la la la la la” until you can’t hear it anymore and then proceed with wild abandon to create without judgement, to create just for the sake of creating. Liberate yourself! Set aside time to just play and let go. 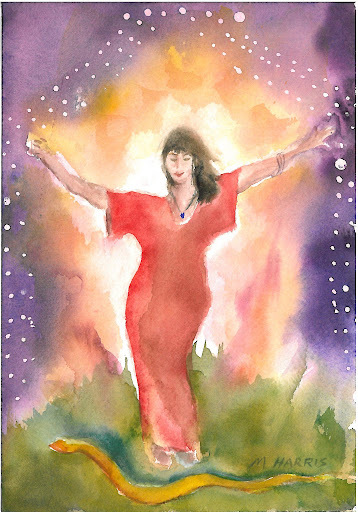 See what happens when you give yourself permission to just create without a specific purpose in mind. What do you gravitate to first – paints, crayons, scissors and glue? Nina Wise is known for her provocative and original performance works. Her pieces have garnered seven Bay Area Critics’ Circle Awards, and she has received, among other prestigious honors, three National Endowment for the Arts fellowships. 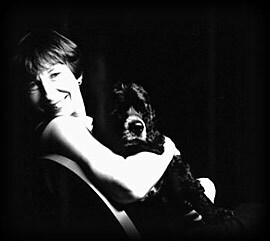 Her written pieces have appeared in numerous magazines and anthologies. Nina lives in San Rafael, California. 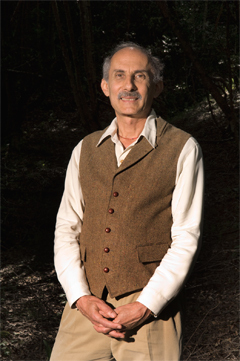 Jack Kornfield is one of the leading Buddhist teachers in America. A practitioner for over 40 years, he is one of the key teachers to introduce mindfulness and vipassana meditation to the West. His approach emphasizes compassion, lovingkindness and the profound path of mindful presence, all offered in simple, accessible ways in his books, CD’s, classes and retreats.